SeriesPDP08754 - Blank Ontario Drawing Book No. 1. Not titled. ItemPDP08772 - Study of a tree. ItemPDP08773 - Study of a tree. ItemPDP08774 - Study of a tree. ItemPDP08775 - Study of trees. 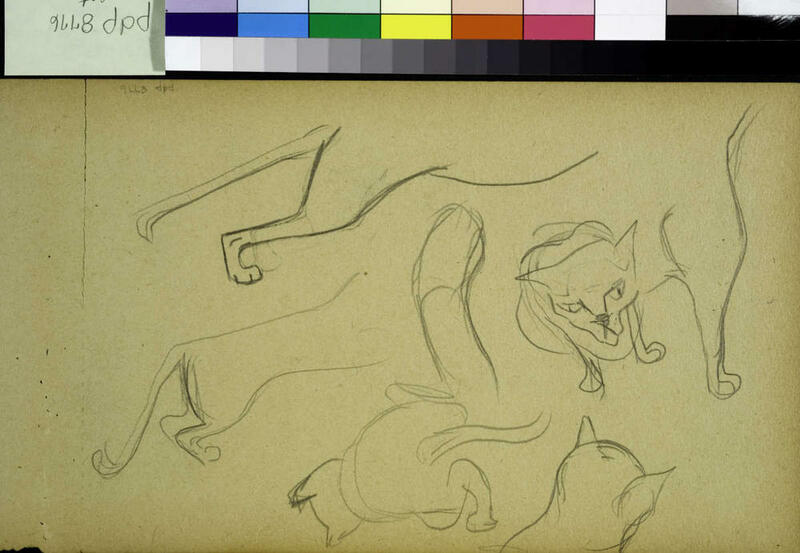 ItemPDP08776 - A study of cats. ItemPDP08777 - A study of cats. ItemPDP08778 - A study of cats. ItemPDP08779 - A study of cats. ItemPDP08780 - Study of cats. Item PDP08776 - A study of cats. Blank Ontario Drawing Book No. 1. Not titled. This item was originally bound as one page in sketchbook PDP08754 which includes PDP08755 to PDP08790 and PDP09001 and PDP09002.